By golly, it's a schnauzer! Use the smallest building blocks in the world to build this remarkable Schnauzer Nanoblock Constructible Figure. 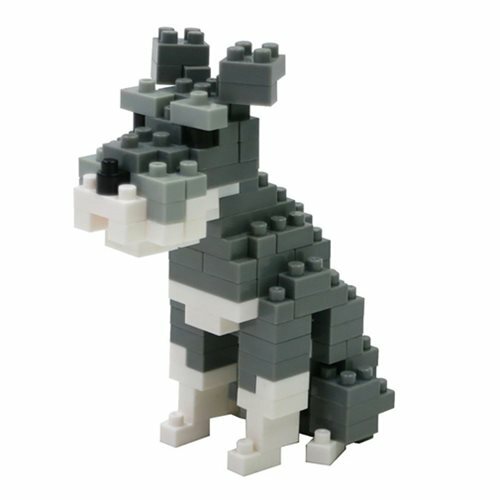 The finished nanoblock schnauzer fits perfectly in the palm of your hand, and it makes a great gift for dog lovers! A moderately challenging building set for beginner building block fans, this set features over 140 micro building blocks, allowing you to build in greater detail. Ages 12 and up. Level of difficulty: 2 (on a scale of 1 to 5, with 5 being the most difficult).